Numerical sequences hold important spiritual powers in many regards. For example, have you ever heard of making a wish at 11:11? Well, just like that, but maybe on an even larger scale, 12/ 12 holds significant meaning. The twelfth day of the twelfth month of the year holds great meaning and is a very powerful day as it is influenced by the power of the number sequence 12/12. In numerology 12/12 offers us the energy we need to transform our relationships and connections with others. Seeing this number and allowing it to be a part of your life is a message to you from the universe. This is a reminder for you to really better yourself and the connections you have with the people around you. This number is one of completion and you should take it as exactly that. You are working toward building stronger bonds with your higher self. The powers of 12/12 pull us out of our comfort zone and force us to really begin again. If you’ve been traveling down the wrong path things are about to get very tense as you are forced back to where you need to be. Your soul knows what is best for you and it will realign itself if it sees fit. The Guardian angel that corresponds with this magical number code is Aniel who symbolizes bravery and brings forth knowledge. He will fill you with courage during this time and if you really listen he will show you how to overcome the obstacles before you. While it might seem a bit confusing he is the voice at the back of your mind during this time and he will not leave you on your own. The coding of 1212 gives us a great opportunity. It allows us to see things from a greater perspective than we would otherwise. This is what one might consider being an activation code and through that, we will be raising our frequency and vibrations. During this time you need to really work hard at getting real and take action. Do not close yourself off but also do not lose yourself in others and situations that may present themselves to you. On the day of 12/12 things will feel very different. You will be pulsating in a different manner on an energetic level. The number 1 itself is a number of manifestation and realization so when partnered with the harmonic number 2 you will be encouraged to really take on a positive approach to life itself. 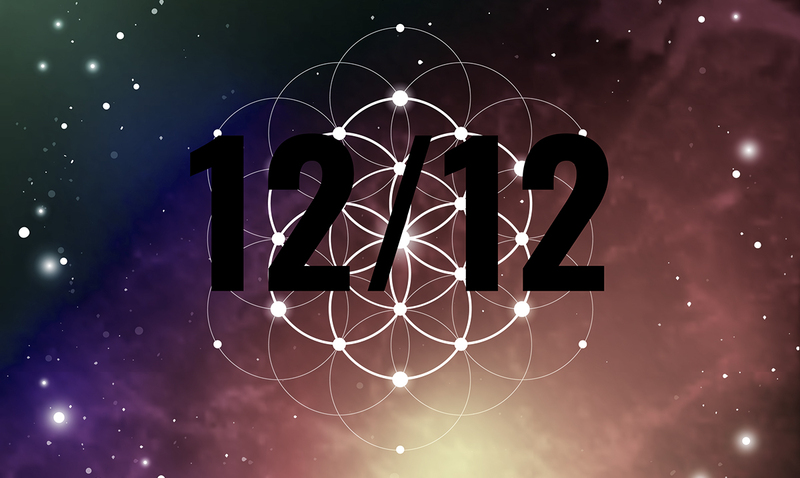 While you might not realize it at first,on the day of 12/12 you will feel much more able to accept yourself and to access planes of existence you could not before. You will be looking within on a level that others might not be able to grasp. When it comes to making the most of the energies before you during something like this you really need to listen to your heart. Paying attention to what your insides are telling you is important. During this period of expansion, you need to work with your energies not against them. If you become overwhelmed remember that meditating will work wonders on really helping you to calm down. When things become too much sit back and take a moment to yourself. Breathe deeply and allow the stress before you to melt away. Remind yourself that the energies you are facing are not negative and that even if they hurt right now, in the long run, they will do positive things for you and your life. On this day you should be thanking yourself and the higher beings for all that comes forth. Use this as a moment of celebration for all you have accomplished and all that is to come. Do not squash this opportunity out of fear. As this activation continues on you will feel very different. You are going to be finally seeing the bigger picture and really preparing yourself to move forth into the year to come.